In a previous post I briefly went through getting a basic instance of Redis going and how at a code level you to store and retrieve data. In this article I’m going to try to be a little more practical about things and actually use it for something. Specifically, we’re going to look at replacing Drupal’s database-oriented caching/locking system with Redis’s in-memory caching system. I’m working off a fresh install of redis and Drupal but I’m going to side-step the installation procedure for each since you would usually do this to an already functioning website you wanted to integrate with your existing redis infrastructure. Drupal 7 (but the steps here should be identical for Drupal 8). Considering database management systems often contain some of the performance-oriented behaviors (such as keeping data in-memory) you would get from Redis you may wonder: What use Redis does have for an application that’s already going to have a full DBMS? Indeed, if it serves no purpose it’s just another thing that can break and make troubleshooting more convoluted. The primary reason you would use Redis for the Drupal cache to be moved to be more local to the application. You’re interested in keeping network out of the loop and want Drupal to pull the cache entries from something running on the local system rather than making another database query. The server the database runs on is shared amongst several application. Moving to a small private Redis instance keeps the data handy without contending with other users during peak load. Before we move onto modifying Drupal itself, we need to make sure PHP can even communicate with Redis. To do that we need to install the redis PECL module. Since compilation of the extension via pecl requires access to PHP development libraries and headers I’ll also need to make sure the php-dev package is installed first. We’ll now need to refresh PHP for this to take effect, so I issue a kill -SIGUSR1 (where masterPID is the pid of the FPM master process). This will cause FPM to re-read it’s configuration and do a graceful/non-disruptive restart. At this point, if you look at the output of phpinfo() (also available from the Drupal status section) you should see the Redis extension having been loaded. 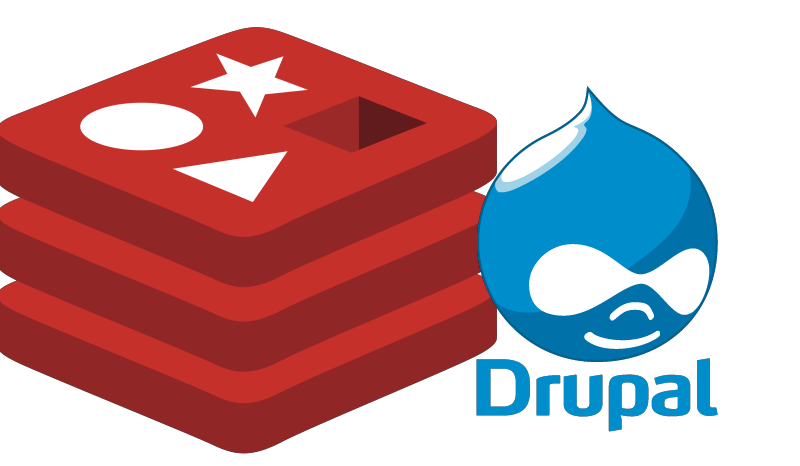 Now that PHP can talk to Redis, we need to install the redis module so that we have access to its Drupal 7 caching backend. Overriding lock_inc with the redis module’s implementation moves all locking mechanisms from the database and into Redis. Quicker locks mean that contentious operations are finished sooner and thus get out of each others’ way. We’re overriding the default path_inc implementation so that Drupal will now cache URL path mappings in Redis. By default, once Drupal figures out what user-supplied URL results in what “system URL” it stores this result in the database. If the value is already a system URL, the value saved is just an exclamation point. redis_client_interface is used to specify what PHP client we want to use to communicate with Redis. The available choices are Predis (a purely PHP implementation bundled with the redis module) or phpredis (a compiled C extension to PHP). For performance reasons you’re going to want phpredis wherever possible which is why we installed it above. (Optional) redis_client_host this merely sets the hostname/IP address of the Redis server. If left unspecified it defaults to localhost. A related (optional) configuration item is redis_client_port which does the same for the port of the remote Redis service. cache_backends this loads the Redis functions during the Drupal bootstrap process. cache_default_class Sets the actual cache handler class. cache_prefix Sets a unique prefix for this Drupal instance to use when storing values to Redis. This is useful for cases where the Redis instance may be local but shared amongst several installs. Ultimately it’s optional if this redis instance only ever serves as a cache for this one Drupal website. Only issue with this setup I’ve ran into is with clearing the cache from the command line. At the time of this writing, if you issue a drush cc all (to clear all caches) on a Redis-backend cache you will receive an error from drush and an incomplete purge of cached items. To get around this, use the redis-cli command to connect to the server and issue commands directly to clear the cache for you. One possibility is simply a FLUSHDB command to clear all keys in the database out (assuming they’re all easily replaceable) or something similar to redis-cli --raw keys "$PREFIX" | xargs redis-cli del to delete anything that begins with the prefix you gave above. This is a known issue with a fix available but not yet merged into the redis module yet.